Abe Froman side recorded June 2002 in Lansing, MI. 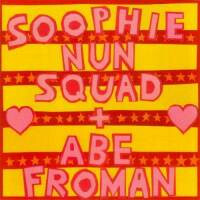 Soophie Nun Squad side recorded October 2002 in Kansas City, MO . 1000 copies of LP pressed. 1000 copies of CD pressed on Plan-It-X Records.